The Haverford College was established in 1833 as a private institution. The total number of undergraduate students for the college is over 1,190. It has a semester-based calendar and it ranks 9th on the current list of the best colleges under the National Liberal Arts Colleges. It is a relatively expensive college with a tuition fee of over $45,000. The Haverford College is located in Haverford, Pennsylvania around 10 miles off Philadelphia. A highly selective college, it has an acceptance rate of just 25%. It is a clear sign of the high Haverford college ranking. 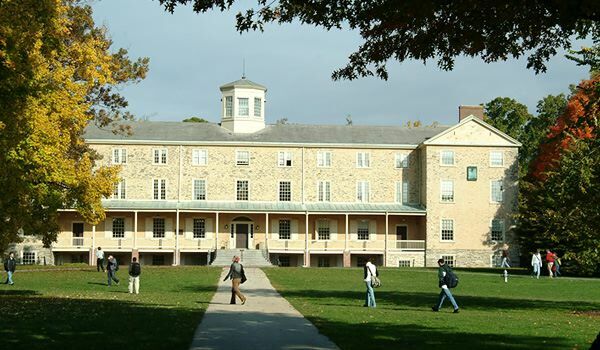 The Haverford College has a suburban setting with its campus spread across 200 acres. The campus is studded with gardens, an arboretum and a beautiful large pond – the perfect place for spending your time studying and researching. The Haverford college library has over 0.62 million titles that comprise of printed books, photographs, microfilm, diaries, electronic recordings and publications and letters. The libraries are open 7 days a week and the digital media could be accessed even from remote locations. The Haverford College has more than 98% of its students living on campus. The accommodations include a number of options including coed residence halls, singles, suites and apartments. Most of its students are living in singles. Apartments and houses were once private dwellings. The Haverford College was established by Quakers, but today it doesn’t have any religious affiliation. It has over 20 sports teams for the NCAA Division III and the oldest college soccer team. Interestingly, it has the only university cricket team in the U.S. There are over 134 student clubs and organizations, but not any sororities or fraternities. One of the most notable features that contribute to Haverford college ranking is its student to faculty ratio of 8 to 1. More than 79% of its classes don’t have more than 20 students. Its average freshman retention rate is almost 96%. Best Courses: English Language and Literature, Economics, Biology/Biological Sciences, Political Science and Government, and Psychology. The average tuition fee at Haverford College is more than $45,000. Overall, students will end up paying more than $59,400 annually, which is quite high. 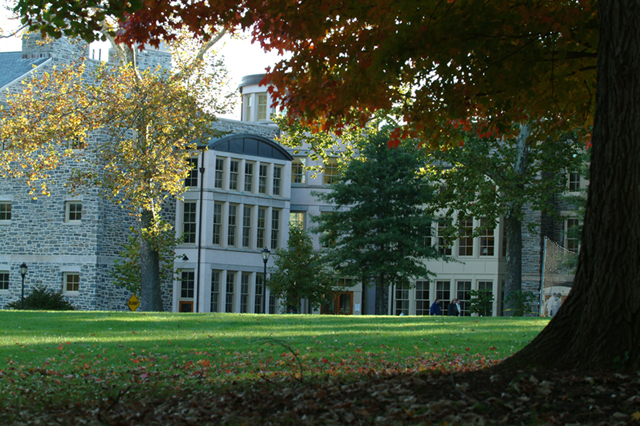 The Haverford College has developed an internal need-based financial aid allocation formula. Recently a new policy has been implemented for replacing loans with extra college grants. All this’ll help to make education more affordable at this college, and help increase the college ranking. Students can also take different types of Haverford college jobs to fund their education here. The Haverford college student population hails from the U.S. and abroad. The objective of its Admission Committee is to bring together a diverse range of students who can bring a wide range of perspectives and experiences of its community. In addition, the Haverford College has several cultural organizations like the Alliance of Latin American Students, Caribbean Essence Organization, the South Asian Society and the Korean Students Association for representing the student communities from around the world. When it comes to Haverford College athletics, it has 21 teams in the NCAA Division III in the Centennial Conference.